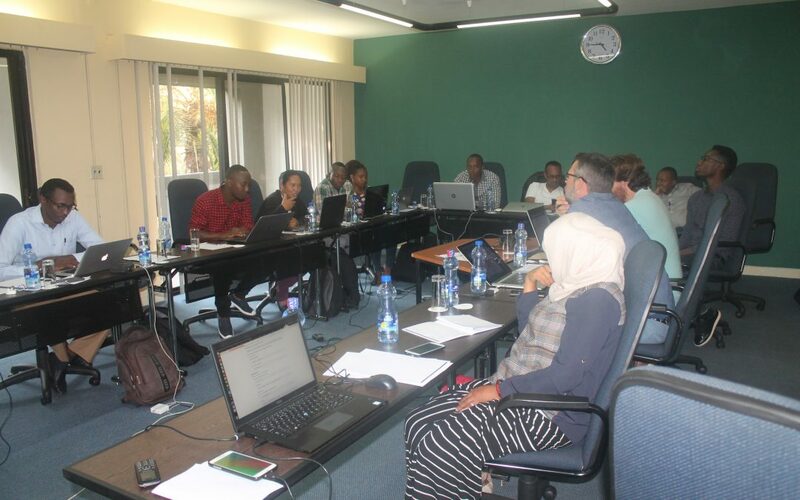 At least 33 engineers from UbuntuNet Alliance member NRENs benefited from hands-on training workshops in Advanced Routing and Service Deployment at the just ended UbuntuNet-Connect 2017 week in Addis Ababa, Ethiopia. Eighteen network engineers went through a four-day advanced routing workshop organised by UbuntuNet Alliance with assistance from the Network Start-Up Resource Center (NSRC). The training, which started on Sunday, 29th October 2017 to Wednesday, 1st November 2017 was held at the Addis Ababa Institute of Technology and equipped participants with skills on campus network configuration and routing Internet traffic to desired destinations on their networks. Trainees of the workshop are expected to conduct similar trainings to fellow engineers in their respective NRENs. One of the NSRC trainers, Patrick Okui said he was delighted with the content delivered which he said equipped trainees with skills that would increase the effectiveness and efficiency of their campus networks. “Over the 4 days we have been working on extensive routing and despite having lots of content we have managed to cover most of the topics we prepared for the training. We are planning to record videos which we intend to make available to the trainees so that they can be familiarising with the remaining concepts during their free time,” said Okui. Running parallel to the routing training workshop from Monday, 31st October 2017 to Wednesday, 1st November 2017 was the Service Development Clinic which introduced trainees to services such as Ansible & Docker, Git and Github, SSH, PersfSONAR, Logging and Monitoring and Openstack among other services. And speaking to NUANCE one of the trainees, Walusungu Gondwe from Malawi Research and Education Network (MAREN), praised instructors Chris Rohrer of UbuntuNet Alliance and Bruce Becker of the Centre for Scientific and Industrial Research (CSIR) whom he said introduced them to critical services that will make a difference in their NRENs and universities.